The San Antonio Spurs have finally given themselves a reason to let out a massive sigh of relief following the conclusion of one of the most bizarre stretches in the franchise’s history. By trading beleaguered forward Kawhi Leonard along with Danny Green to the Toronto Raptors, the Spurs have rid the team of a big distraction. That does not mean, however, that people will stop talking about what the Spurs could have gotten in return for Leonard instead of DeMar DeRozan, Jakob Poeltl, and a future unprotected draft pick. The Raptors were not the only team that was in contact with San Antonio with regards to a possible trade. Among them were the Denver Nuggets, whom the Spurs had a very steep ask for them to give up control of Leonard. 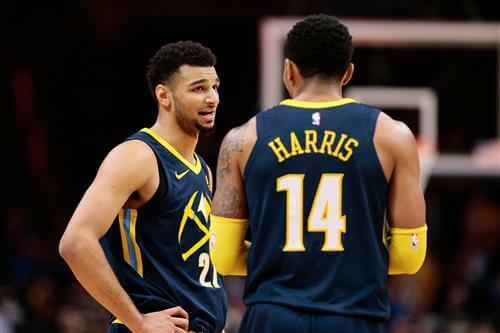 According to T.J. McBride of Mile High Sports, the Spurs wanted Denver’s young backcourt tandem of Jamal Murray and Garry Harris together with some cash and future first-round picks.